While these advancements are significant in their own rights, when coupled together, they pose a new way in how citizens can access city services; live in safer, environmentally friendly communities; be part of a robust economy; and contribute to the betterment of their own lives, as well as those of their neighbors and future generations. C/AVs use an array of sensors to collect vast amounts of data from their own vehicles as well as those around them. This data can then be used by city managers to more efficiently and effectively plan, react and manage city operations. C/AVs can collect many points of information including vehicle speed, braking, idling, emissions, location, engine diagnostics and even imagery of surrounding areas. Onboard systems can relay information to their drivers and passengers on available services, recommend less congested routes, and can even identify nearby amenities and available parking. C/AVs can also provide motorists real-time congestion information, e-coupons for services, and integrate ways for motorists to make reservations and even pay for services while in their vehicles. Smart cities also use data collected through a robust set of sensors to improve the overall lives of their citizens. The smart city data, which ranges from water and air quality, traffic congestion, crime and incident responses, imagery, energy consumption, weather, and even people’s location, can be used to provide better access to city services, improve safety, enhance environmental quality and advance a city’s overall economic position. When pairing C/AVs and smart cities, the whole is greater than the sum of its parts. This pairing creates a powerful symbiotic relationship that can be used to even further improve the lives of a city’s citizens and motorists. Provide robust, enhanced, real-time data for planning and analysis – Currently, most transportation-related data is provided either by infrastructure-installed sensors, captured from smartphone apps, or provided by third-party providers. C/AVs offer real-time information from a vehicle’s perspective for both the C/AV, as well as surrounding vehicles, bicyclists and pedestrians. This data, provided in real-time to smart cities, can be used to better plan responses, manage public operations and ultimately improve a city’s quality of life through a safer, more reliable transportation network. Promote safer, more efficient incident responses and maintenance operations – By providing real-time information on incident responses and maintenance operations, and coupling that information with C/AV direction-finding information, traffic can be routed away from areas where these events occur. By rerouting traffic away from these events, incident responses and public maintenance activities can be conducted safely and efficiently without the worry of traffic congestion or surrounding traffic. Improve accessibility to city services – At its core, smart cities are designed to improve services to citizens. Through embedded communications and infotainment systems, cities can create an interactive, safe way for city managers to provide services directly to their C/AV motorists. When coupled with the enhanced data provided by C/AVs, these services can even be customized to a particular vehicle, driver or location. Enhance a city’s economy – C/AVs can also improve a city’s economy. In the short term, many technology companies are looking for ways to test their technologies in urban environments. Cities can capitalize on this demand by offering their resources, facilities, and infrastructure to companies who wish to test and deploy C/AVs in real-world environments. In the longer term, the continued emergence of C/AVs may also lead to an expansion of the Mobility as a Service (MaaS) market which could also improve a city’s economic position through usage fees and partnerships with transit providers. While C/AVs and smart cities are still in their infancy, the possibility of integrating data and services between these two initiatives can create a cooperative relationship that improves safety, livability, and economy for its citizens, tourists and motorists. Mike Warren is a principal consultant at WSP USA. 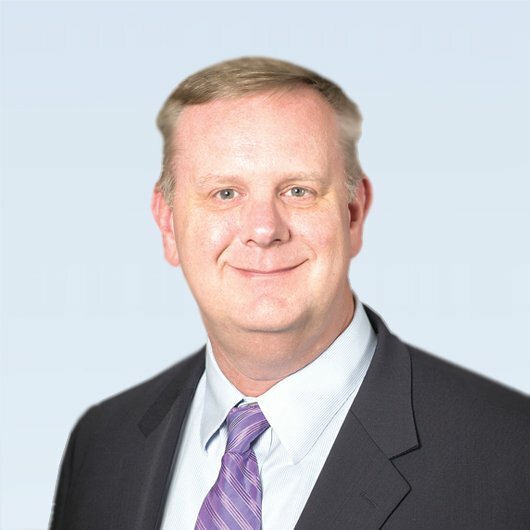 His technical expertise spans all aspects of innovative mobility including systems architecture, data center development and consolidation, standards development, communications networks, and data analytics. Mike is currently the smart city and innovation lead for the City of Las Vegas, helping Las Vegas transform into a smart city. WSP is at the forefront of the development and testing of transportation infrastructure for connected and automated vehicles, and is currently advising transportation agencies across the U.S. on the development and implementation of infrastructure and policies to proactively plan for these vehicles of the future. The firm’s comprehensive capabilities with respect to connected and automated vehicles are presented at www.advancingtransport.com. To find out what we can do for you, contact us at advancingtransport@wsp.com.